I love sugar cookies -- they're simple, direct and satisfying. 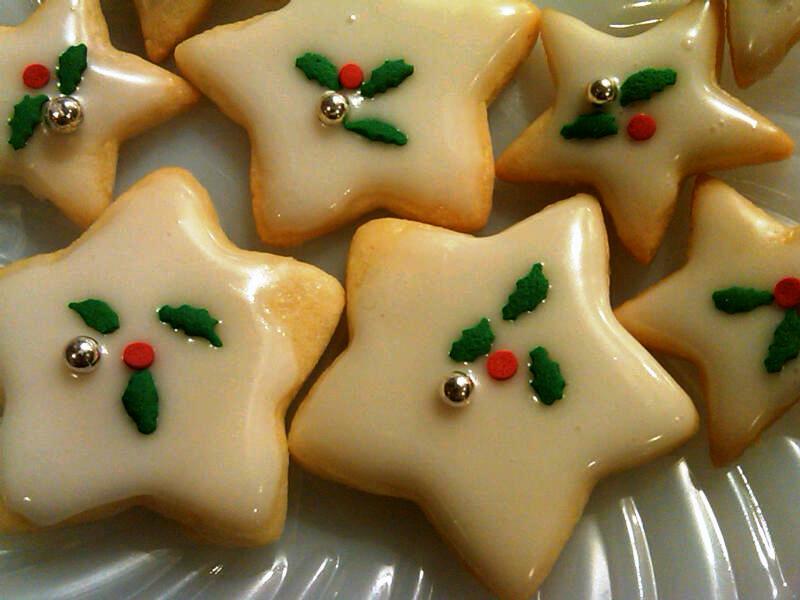 Every Christmas I make a batch of these delicious cookies from a Martha Stewart recipe. The dough takes about five minutes to put together. Rolling out, baking and decorating is another matter entirely. Have some company in the kitchen or call your mother to pass the time and before you know it, voila! 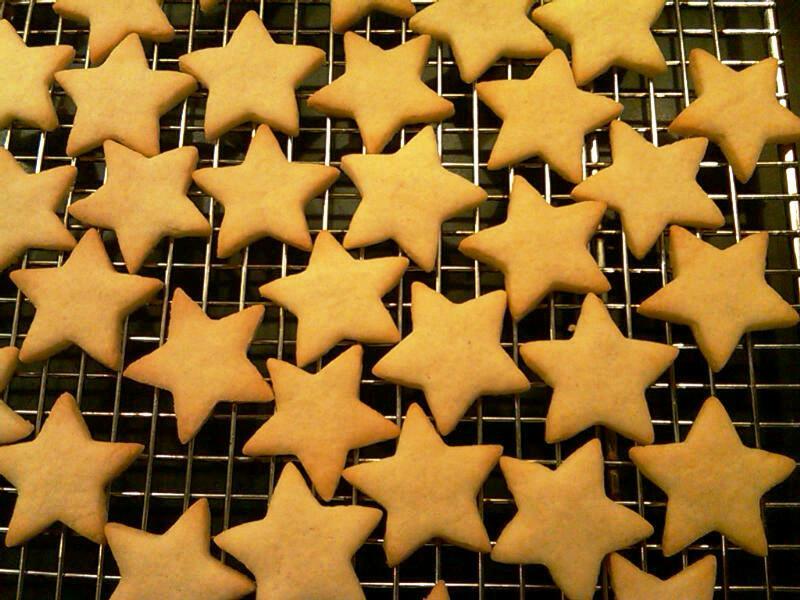 a gorgeous batch of homemade cookies. My idea of a starry night. After the cookies have cooled, just mix up some confectioner's sugar with a small bit of milk (or lemon juice) in a shallow bowl to create the frosting. Keep mixing it until it's smooth and creamy. I find it easier to hold each cookie carefully on the edge and dip it in the frosting, rather than spreading it with a knife, but you can frost the cookies either way. 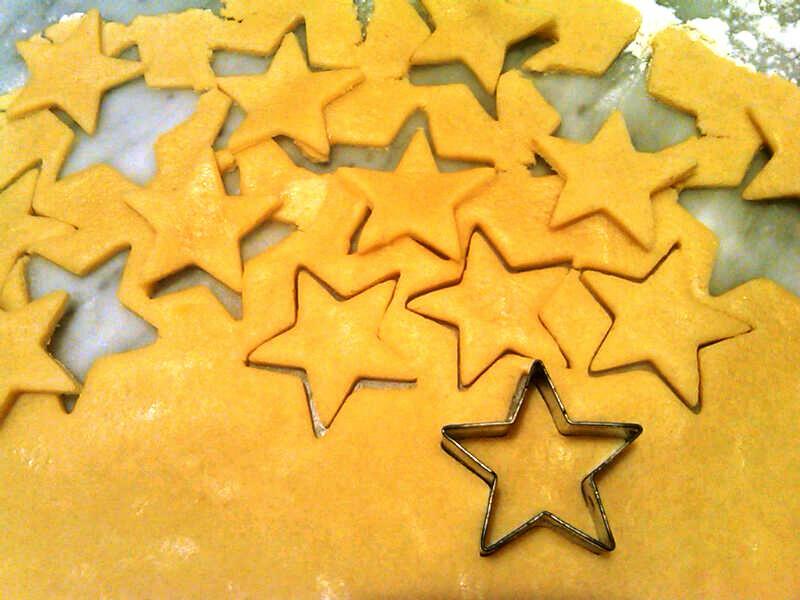 While the white frosting base is still wet, add some sprinkles for decoration. 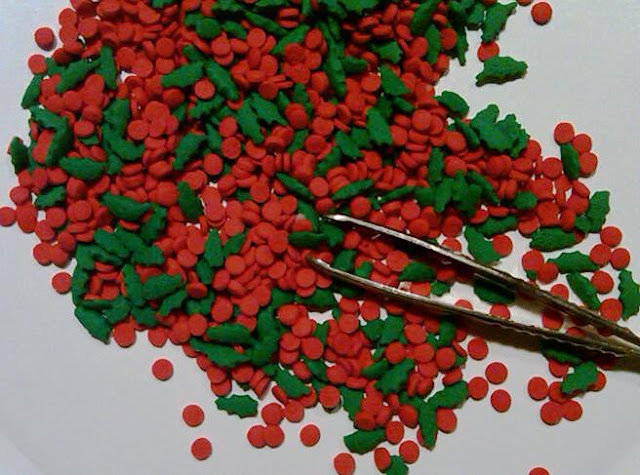 No need to be as obsessive as I am -- carefully placing tiny holly- and ball-shaped candies atop each cookie with a tweezer! This design was created several years ago by my uber creative daughter, so I like to carry on the tradition, even if it means staying up til 2 a.m. to finish. But I do think it's worth it -- see how festive they look, especially with a silver dragee added for sparkle. Here's a link to the recipe I use. excuse me while i go find my apron.... yum! @luckygalny & Jessica: Thanks so much! A bright idea, it is really useful. Thank you for this great idea hope you can post more.